Monarch Networth Capital Franchise is a well known stock market franchise business. In this article, we will provide you in-depth information about Monarch’s Sub Broker program, procedure to enroll as a Business Partner with them, their Revenue Sharing model, their product benefits and offers etc. Monarch Networth Capital is a reputed and well-established Stock Broker in India and has been in business for over 25 years. Their strong expertise and tenure in the market has made it one of the largest Stock Broking companies in India today. Monarch Networth Capital is a combined entity of two financially sound companies Monarch Group of Companies and Networth Stock Broking Ltd. They have been in the Stock broking industry since more than 25 years now and pioneered various financial products and solutions. With this strong enterprise and unbeatable expertise that they have gathered since the last two decades, they have been able to acquire and sustain over 220,000 happy customers till date. They have penetration in 21 states and over 225 cities across the country. Over 610 Skilled professionals and 1000+ Business associates work for Monarch in 87 Branch offices all across India. Monarch Networth Capital has registered with all major Stock Exchanges of India including NSE, BSE, MCX, NCDEX, NDSL etc. They offer a platter full of products and services like Equities, Currency, Commodities, Currency, Futures, Repository services, Insurance, Mutual funds, IPO etc. which gives an opportunity to the Sub Broker to offer max products to their clients. Monarch also has an extremely responsive Customer Support Desk, which caters to customer queries and solves them 24X7. Monarch Networth Capital has a very strong and advanced Trading platform, which enhances the trading experience of the customers. This platform can be accessed from anywhere from your laptop, desktop or even mobile. Monarch also boasts about their Research and Analytics team a lot as they provide round-the-clock solutions after monitoring the market trends closely and thus come up with best investment solutions for their customers. Traders can vouch for their accuracy in predictions and hence trade effectively with them. Monarch only offers one business Model and that is the Franchise or the Sub Brokership model. This program is apt for someone who has sound knowledge of the Stock Broking Industry; has preferably managed a business for a Stock broking or any other finance company and wants to open up his own entrepreneurial setup. You just need to be ready with the idea of setting up your business and Monarch team will assist you till the end to stabilize your business completely. Monarch Networth Capital realizes that their existence in the business is due to a large portion of the contribution from their Business Franchises and hence they also readily part away a good share of their brokerage revenue for the Franchises. Monarch Networth Capital is one of the leading broking houses of the country and it focuses a lot on the Sub Broker business for growing their business. They ensure all amenities and benefits are provided to them to sustain in the business and grow. Hence, they also go all out in extending best Revenue sharing percentage for their Sub Brokers so that they can squeeze out considerable amount of business from them. The Sub broker business can give upto a whopping 60-75% revenue sharing percentage to the Sub Broker as well whereas the broker himself will keep the remaining share with him. Moreover, the revenue sharing model is not a fixed one; it depends on other business enhancing factors as well like the Sub Broker’s total Revenue generated, their acquired clientele and total trade done by them and also the types of products sold by the Sub Brokers. The Revenue sharing percentage with Monarch is mainly decided by the amount of business and profit given by that Sub Broker to the company. Most Stock Brokers have a requirement of Security Deposit as a collateral or security in times of distress. This security is utilized incase there is a penalty or shortfall from the Sub Broker’s end. Monarch Networth Capital also has minimum 75000 – 2,00,000 Security Deposit requirement from its Sub Brokers. This is a refundable deposit, which means whenever the Sub Broker or Business Partner wants to deactivate their partnership, they would be given back this amount without any deductions. The initial capital amount is also charged as the company gives complete access to the Sub broker to all its portals and trading tools, hence it is more like a collateral or security for the same. Since Monarch Capital is a leading name in the Stock Broking world and they would not want to demean their stature for anything, they also expect the Sub Broker to follow certain guidelines when it comes to their office maintenance. The Sub broker or Franchise is representation of the company itself. When the customer walks in to the Franchise’s office, they wouldn’t know that it is a franchise office, they would be under the impression that it is a Monarch Capital’s facility. Hence, the Franchise owner has to be sure of the kind of office space he maintains. As per Monarch, the Sub broker should have the office in a decent locality. It should be hygienically maintained from all standards. It should have basic infrastructure and amenities like workstations for employees, PC or laptops for them to work, Wi-Fi or internet connection and landline for each employee. The 25+ years presence in the financial industry itself is a very big USP for this company and anyone getting associated with them. There is a lot of support for the Sub Broker from the Marketing and Branding part as well. Monarch does a lot of Seminars, workshops and events to promote their brand and products and that’s what makes the life of a Sub Broker easier as there’s enough visibility already created by them. How to become a Monarch Networth Capital Sub Broker? Once the understanding is clear, you could go ahead and submit the necessary documents and the initial deposit cheque. Why Partner with Monarch Networth Capital? The strong 24yrs foundation of the company is one of the main reasons to tie up with them. Monarch has a very strong name in the Stock Broking industry and a lot of customers already trade through them. Hence acquiring customers and retaining them with this portfolio is not much of a challenge for the Sub Broker. The Monarch team also provides live back office support to customers as well as the Sub Brokers. The lucrative Revenue sharing model and the great periodic incentives are a boost for the Sub Brokers to perform better every day. Q1. What is the types of Sub Brokers with Monarch Networth Capital? Q2. What is the age criteria for a Sub Broker with Monarch Networth Capital? Ans: Minimum age required to Become a Sub Broker of Monarch networth capital is 21 years. Q3. What kind of Marketing & Branding support does Monarch Networth Capital provide? Ans: There is a lot of support for the Sub Broker from the Marketing and Branding part as well. Monarch does a lot of Seminars, workshops and events to promote their brand and products. In a way this makes the life of a Sub Broker easier as there’s enough visibility already created by them. 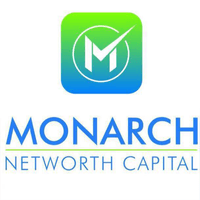 Q4: What is the minimum Security Deposit amount required with Monarch Networth Capital? Ans: With Monarch Networth Capital, the minimum Security Deposit required is anything between 75,000 – 200,000.